Tahoe City is located between Kings Beach and Sunnyside. It is a bustling North Lake Tahoe area conveniently located close to all the best that the Tahoe lifestyle has to offer. With all the best summer and winter recreational activities minutes away from your door step, Tahoe City real estate is perfect for a primary residence or vacation home. Tahoe City is a prime waterfront town with great shopping, galleries, local homegrown coffee shops, gourmet restaurants, seasonal farmer’s market, outdoor concerts, boardwalk and much more. Tahoe City is rich in history thanks to its museums and once being a travel destination via the Comstock Lode and S.S. Tahoe. During the summer the lakeside paved trail system is perfect for skateboarding, jogging or biking. In the winter time the focus is skiing, snowboarding, cross country skiing and snowmobiling. Thanks to the several different surrounding ski resorts, Tahoe City residents and visitors can be on the slopes within minutes. Tahoe City real estate ranges from old Tahoe style cabins to newer custom homes. Due to Tahoe City’s size, there are several different neighborhoods with Tahoe City homes for sale featuring, lakefronts, small neighborhoods and forestry settings. Timberland is an older subdivision that features a variety of homes from old Tahoe real estate style cabins to larger custom homes. This type of real estate in Tahoe City is surrounded by national forest with old growth timber and a beautiful meadow. The neighborhood is also on its own water system and Hurricane Bay’s public beach is just a brief walk away. Hurricane Bay is the newest subdivision made up of 8 stunning custom homes. Tahoe City homes for sale in Cathedral Forest, Pineland and Tahoe Tavern Heights are snuggled into smaller, wooded areas conveniently located close to the lake and highway. The homes in these neighborhoods are a mix of cabins and newer homes. Located about 4 miles behind Pineland is Alpine Peaks. This prime piece of Tahoe City real estate is the ultimate opportunity to own a private piece of mountain living with gorgeous mountain views and total seclusion. There is also direct access to Alpine Meadows’ Sherwood lift. 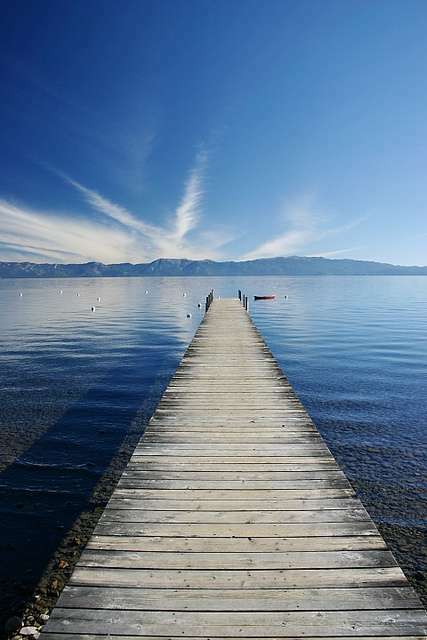 Tahoe Park is desired for its gated association beach, playground, two piers and a picnic area. Tahoe City homes for sale in Tahoe Park are easily accessible in a wooded level area. Above Tahoe Park is Talmont-Twin Peaks. This Tahoe City CA real estate is in a quiet subdivision surrounded by trails winding through the forest right on the border of Paige Meadows. Paige Meadows is popular with hikers during the summer and cross country skiers during the winter. Talmont Twin Peaks is known for having some of the best priced homes with stunning Lake Tahoe views. Perfect for the avid golfer is Bunker Tract. This neighborhood is conveniently located just behind the Tahoe City Golf Course and is close to the elementary school, churches and local community center. This real estate in Tahoe City is made up mostly of permanent residents. Another neighborhood with mostly locals is Comstock Acres.